Hectic Nine-9, the hit TV show, live on SABC 2, weekdays at 4pm, and Newkidz on the Block, the organisation that cares for kids, are joining forces this Mandela Day to make a big difference. 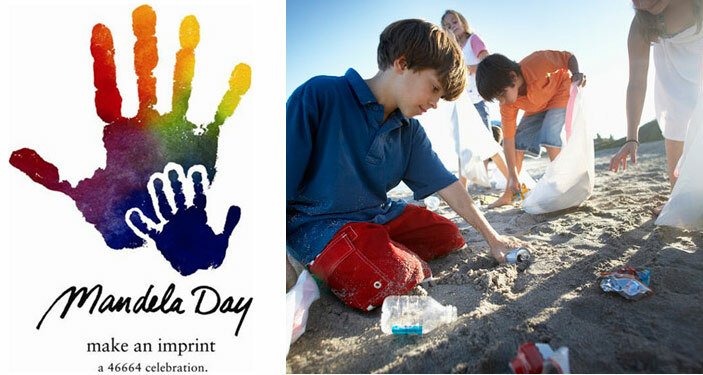 With Mandela Day 2011 falling on a Monday this year, the decision was made to select Saturday, 16 July as the ideal day for the youth and their families to give back to the community in true Madiba style. An extensive Beach Clean Up has been organised that will happen in relays along the Cape Peninsula’s False Bay coastline. 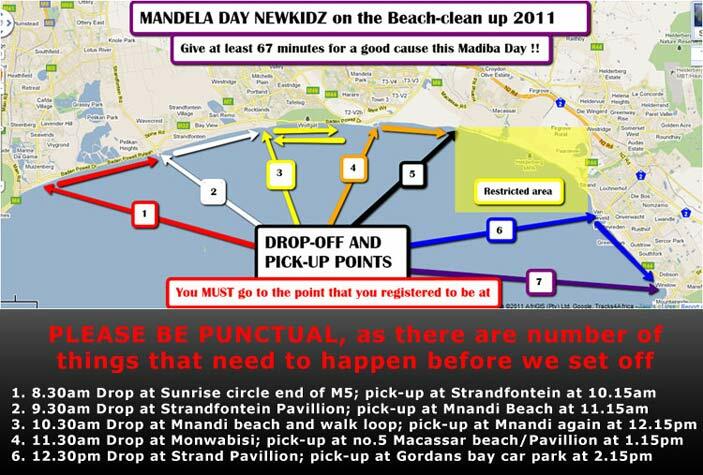 Starting at 10am at Sunrise Circle beach in Muizenberg, the Beach Clean Up will progress along the coastline, ending at Strand Beach in the Strand at 3:07pm. Mandela Day 2011 forms a major part of Hectic’s ongoing AWEH-ness initiative which is designed to empower young people with the belief that even one person can make an enormous difference and is based on a desire to create a generation of young people who are compassionate and caring, AWEH-ness It is all about making a difference and asking nothing in return. It is about creating a big, beautiful youth movement that says, “Together we can do anything”. In the build up to Mandela Day, Hectic Nine-9 will be urging their 2 million strong audience to get involved and make a difference. Capetonians will be encouraged to take part in the Beach Clean Up and viewers from other parts of the country will be directed to projects in their neighbourhoods. Then, on the 16th, the Hectic Nine-9 presenters and crew will join the volunteers at the beach and all the action of the Clean Up will be captured on tape for airing on Hectic Nine-9 in the days thereafter. Not only will the day provide the perfect opportunity for young people and their families to offer their 67 minutes in honour of Nelson Mandela, but there will also be great prizes up for grabs for the best-dressed participants. Invitations to participate are being sent to Cape Town schools and the general public is invited to join in too, with up to 5 000 participants expected on the day. Newkidz on the block was founded in 2007 when a dynamic make-over was accomplished in only one weekend at the Masigcine Children’s Home. Spearheaded by a group of friends who identified an unending need to assist the vulnerable and needy children of South Africa, Newkidz on the Block has since grown from strength to strength, garnering the support of large industry players, smaller sponsors and a large base of volunteers. The working principle behind this organisation is to identify a worthy cause, collect the necessary funds, organise a number of willing volunteers and orchestrate a successful project from conception to handover. Newkidz even encourages large companies to donate their CSI budgets and get their staff on board as volunteers for team building. For companies, this means a lower budget spent on an admirable project and staff that bond better, because the fruits of their team work are tangible, significant and make a real impact on the lives of fellow South Africans. For more information about this incredible organisation and details on their exciting completed projects, please visit www.newkidz.org.za.